For a lot of parents, increased connection with children is a primary reason for choosing to homeschool. For some who chose homeschooling for other reasons, increased connection can be an unexpected benefit. For us, it was a little bit of both. 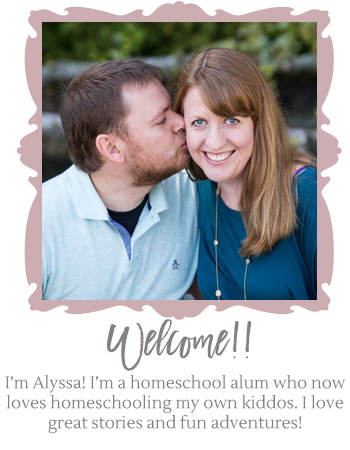 I was excited to go on a learning adventure with my kids, and excited to spend more time with them, but I didn’t anticipate just how much connection homeschooling would create for our whole family — parents to kids as well as kid to kid! We prioritize margin. 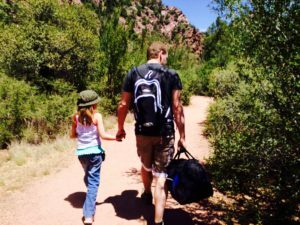 Some seasons, our guiding value is, “ruthlessly prioritize.” It’s shockingly easy, when homeschooling, to fill our lives and our kids’ lives to capacity with great stuff. But it’s not great if we’re miserably trying to run from one thing to the next, yelling at our kids and disappointed with ourselves the whole time! We picked a style and curriculum that we (the parents) like to do. In short, loving our curriculum and style has created a better me for my kids to connect with. It gives me energy to join them in the learning because I feel excited about our day, and that excitement is contagious. We make a conscious effort to listen well. I have two big talkers. I listen to long monologues about Minecraft and Mario, jokes that may not be objectively funny, and stories that should have ended ten minutes ago. But to our kids, it matters. We don’t need to be great listeners all the time, but at least a couple times a day it really helps to practice our reflective listening skills and really be present. Listening well is the best way possible to communicate that a child matters. We have fun. Picture a Venn diagram here: stuff I think is fun, stuff my kids think is fun, stuff we both think is fun. We spend a little time in each category, but we spend as much time as we can in the middle — stuff that all of us genuinely find fun. The basic concept here is that “neurons that fire together, wire together.” My brain and my kids’ brains start associating all that fun with hanging out together, and that creates or deepens our connection. I put my phone in time out. I don’t mean to get on my phone, but one notification leads to another and before I know it my stress level has slowly risen and I’m no longer present in the moment with my kids at all. I’ve been amazed at the difference it’s made to leave my phone in the bedroom for the morning as we go through our routine. I am way less stressed, I am more present, I am less overwhelmed, I make better eye contact and I’m a better listener. It’s a miracle cure! All of this has added up to a feeling of closeness that I wouldn’t trade for anything in the world! I deeply love learning with my kids every day. It’s energizing to feel connected and to see that the kids feel the same way! 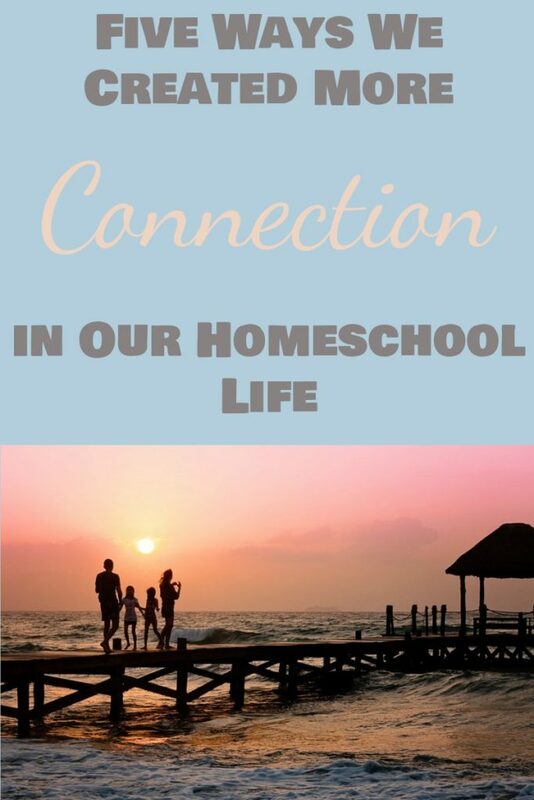 What other ideas do you have that help you connect with your kids throughout your homeschool day? I would love to hear them!